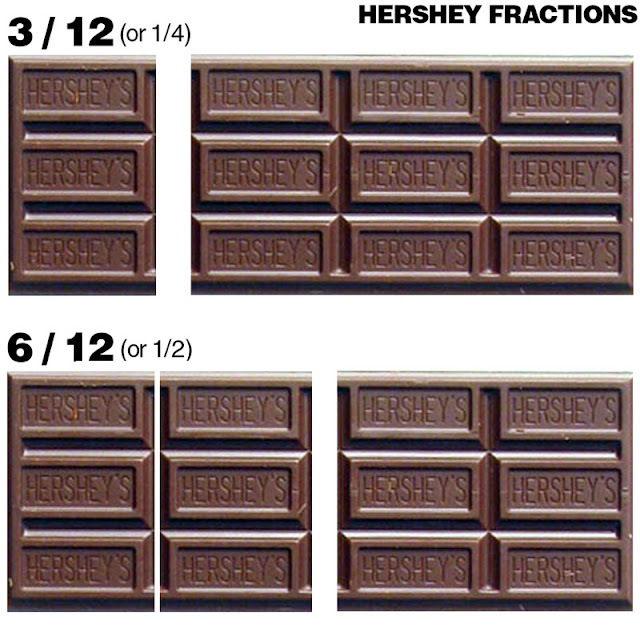 Make fractions sweet with Hershey's chocolate. Split children up into groups and have each group come up with some fractions using their chocolate bar. Have the groups of students draw their fractions with a brown crayon or marker on a sheet of paper. For more Hershey fraction fun, check out the book The Hershey's Milk Chocolate Fraction Book.